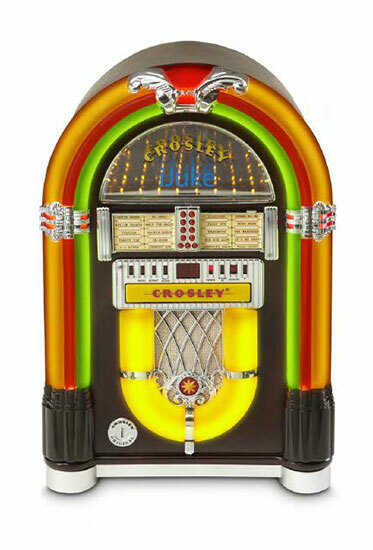 Boasting plenty of functionality and good looks, Crosley’s iJuke brings back simpler times of rockin’ around the jukebox. Connect with Bluetooth to listen to your mobile device, or enjoy a favorite CD, all courtesy of the dynamic full-range stereo speakers. These tabletop jukeboxes look great in any room of the house, or take them on the road in your vintage trailer. Whatever you decide, the music will be at your fingertips with the Crosley Bluetooth Tabletop Jukebox.